Knocked Up. Seth Rogen and Harold Ramis in Knocked Up. 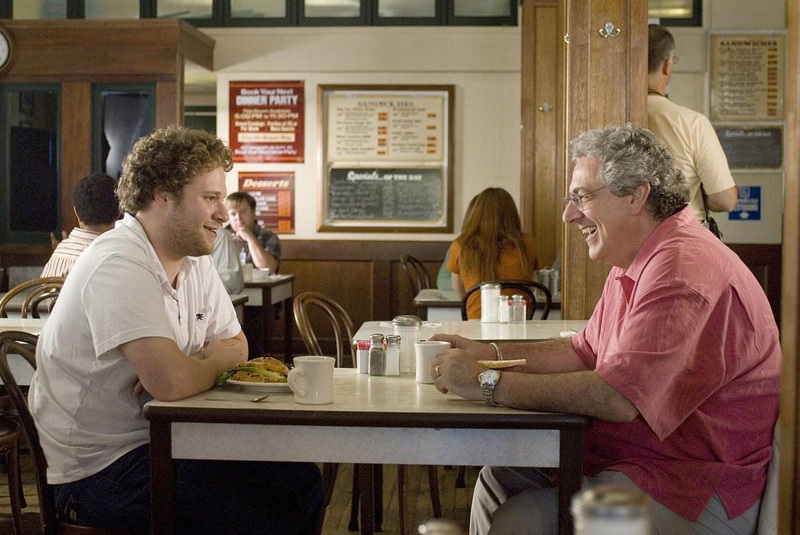 HD Wallpaper and background images in the Seth Rogen club tagged: seth rogen knocked up image still 2007 harold ramis. This Seth Rogen photo contains brasserie. There might also be bistro, restaurant, essen haus, essecke, lokal, essen ort, gastwirtschaft, essen, and esstisch.